This week, the price of Ether has risen to the upper border of the narrow trading range of 218.75–187.50 (Murrey [6/8]–[4/8]). In case of consolidation above it, growth to the area of 250.00 is possible (Murrey [8/8]). However, it is more likely that the instrument will stay within the range and will be corrected to its lower border at 187.50. If the rate consolidates below this level, a greater weakening may follow to 156.25 (Murrey [2/8]) and 125.00 (Murrey [0/8]). Technical indicators do not give a clear signal. Bollinger Bands are horizontal. MACD histogram is at the zero line, its volumes are insignificant. 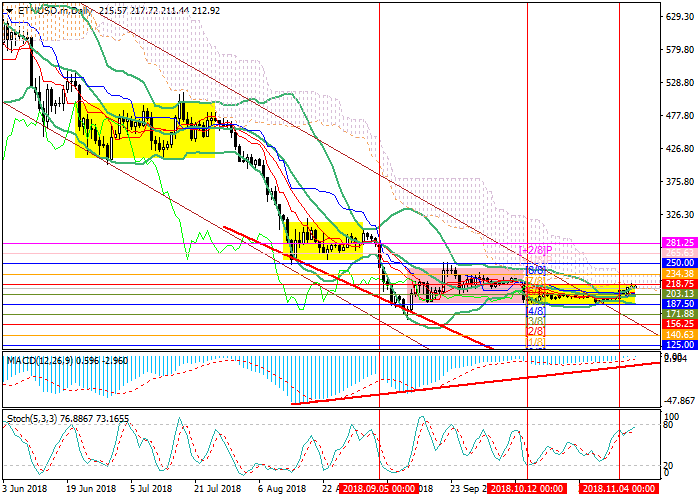 Stochastic is directed upwards but it approaches the overbought zone, which indicates the possibility of a reversal. Resistance levels: 218.75, 250.00, 281.25. Support levels: 187.50, 156.25, 125.00. 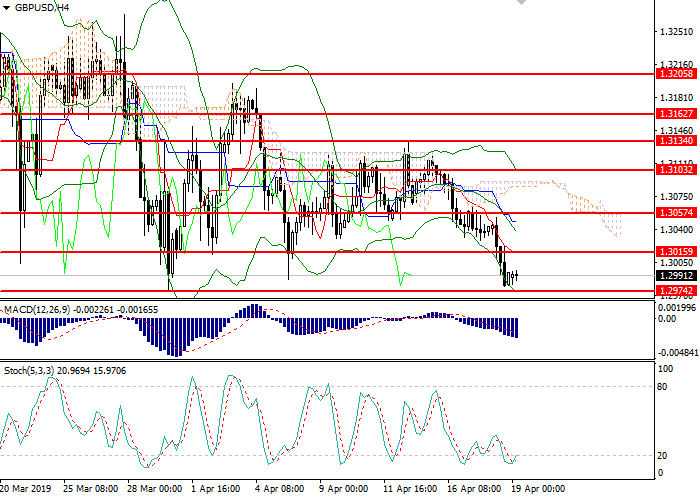 Short positions can be opened from the current level with the targets at 187.50, 156.25 and stop loss around 226.00. Long positions can be opened above the level of 218.75 with the target at 250.00 and stop loss around ​​205.00.